The British NHS (National Health Service) has also initiated their migration to open technologies and is substituting the botched NHS National Programme for IT system (based on Oracle and other proprietary technologies) for Spine 2, which uses mostly open source. The applications layer will be run on Python, redis, RabbitMQ, and Tornado, while Ubuntu, HA Proxy, Nginx, and Puppet will be running in the back end. Mustache and Flask will be in charge of the presentation layer. Also, instead of mega-multinational-consultant, the NHS has decided to use BJSS as an external consultant, a British consultancy firm specialised in Open Source. Valve made the most of its visit to the LinuxCon held in New Orleans this year, and, apart from having Head Honcho Gabe Newell deliver a keynote, the company took the opportunity to announce several surprising projects during the event. First off was SteamOS, an Ubuntu-based operating system which will integrate their famous Steam distribution platform and high-end graphics drivers . According to the site, SteamOS "combines the rock-solid architecture of Linux with a gaming experience built for the big screen," which makes it clearly geared toward living-room entertainment. This begs the question of who wants to have big, noisy, and rattly computer in their living room? No one, obviously. That's why their second announcement was for the Steam Machine , a hackable console (in the sense that it will allow users to modify it) that will run SteamOS and all the games delivered by Steam. 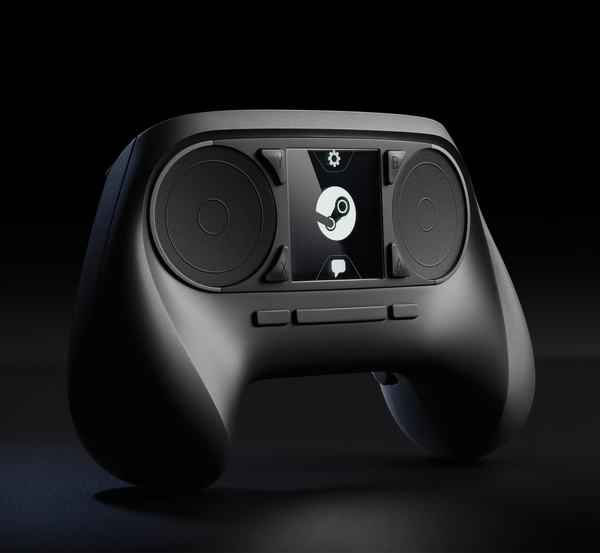 Valve also announced a gamepad, or Steam Controller, to go with the whole lot, with touch-sensitive circular touchpads – instead of the classic joysticks – and a tablet-like touchscreen. The effect of the announcements was electric on the industry, prompting major video card manufacturers Nvidia and ATI to announce updated Linux drivers for their most high-range hardware. Even Linus Torvalds was inspired to proclaim the coming of the Year of Linux Desktop… again.